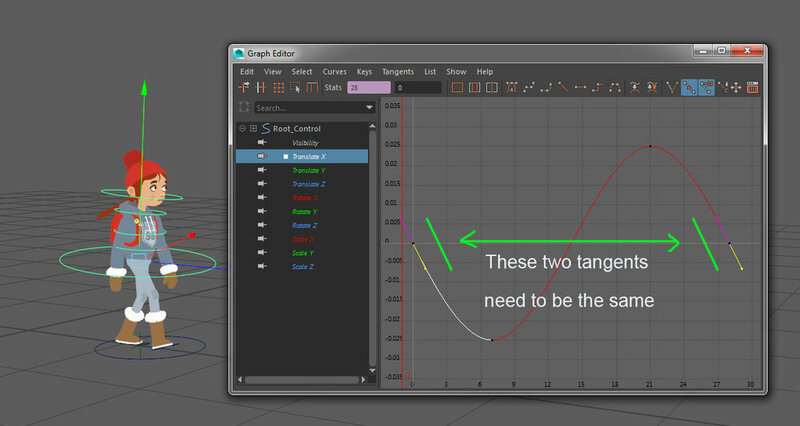 Hi everyone, welcome back to the second part of out Animation Tips blog-post! In this post we'll be looking at some more nuggets of animation know-how that we use when animating. We don't claim to know everything but there might be something here you find helpful and for non-animator folk it will hopefully be an interesting insight. If you missed the first part you can check it out here. Right, grab a brew and let's jump straight in to the next set! First up, animation reference - use it. Whether it's still images or footage from an online library. Remember, if you can't find reference footage for the animation you're making, grab your phone and film yourself acting it out. We did a blog post about this a while back, but in case you missed it (it's here) using reference footage is really important to give your animation work an element of realism. "Utilising reference for your animation will have the same effect as as using reference photos to create concept art, characters or or environment art. It will lend it a sense of realism and allow you to scrutinize over and over again what is actual, rather than what you assuming what might happen based off your imagination or understanding." In game animation we create a lot of cycles; looping animations that can cycle in-game over and over again in a seamless fashion (that is, if they are authored correctly). If there is an element of your animation that is 'popping' (not looping seamlessly) there there are two things to check out. Firstly, check that the keyframe on the 'popping' element is the same at the start and the end (sounds simple but in the midst of animation exertion mistakes can happen!). When posing characters, either in a static pose or as part of a dynamic animation, you always need to ask yourself 'Where is the weight?'. There is kinda two parts to that question, 'Where is the center of mass?' & 'Where is the weight being placed?'. If your characters looks like they're going to fall over then it would suggest that their pose is incorrect. Look at the posed character and try to identify where their center of mass is? Is it off-center to the whole pose? Has it not shifted overto the foot taking the weight? If so the the character is not balanced and your pose is off. The caveat to this is that when in motion the body will be off balance, the center of mass will be off-center, in the direction of travel. The faster the movement the more off-center it will be. Another import aspect of things taking weight is the hip rotation. When a foot plants as part of a walk or run cycle it takes the weight of the body so the other leg can start to move. The taking of this weight, as well as shifting the hips over the weight bearing foot, pushes the hip up on that side. If you check out the image below you can see some of this in action. Look how the center of mass moves off to the side to keep Tove balance when that leg is taking the weight, also notice the angle of her hips when this happens. Secondary motion makes your animations look super cool, FACT! When we say secondary motion we're talking about animated elements that aren't strictly part of the body but that respond to it's movement. For example, in the image below there are a number of secondary movement elements; The pompom on her head, the hair strands by her ears & on her forehead, the drawstrings on her hoodie, her ponytail and finally her backpack (phew, there were more than I thought!). These give a great sense of realism and weight and they reinforce to the view what motion is occurring on the body. You can animate these by hand but we've chose to drive them with Unity Physics when running in game (as you see below). One important point about these elements is that you can only utlilise them if they are there in the first place! Might sound silly but you need to consider these elements in advance when designing characters at the concept stage. We're lucky, as small developers, I desig, rig and animate Tove. So I can add all the elements I want to the character design with the foresight of knowing I'll want them for the animation. If you're an aniamtor on a larger team you may want to go and pest your character art team or cocnept artist to make sure they consider this as part of their process. The final tip for this week, and as it's Friday it's appropriate, is to....take a break. This goes for all art work, or work in general for that fact, but is especially true for animation. You can get really blind to something staring at it all day long. It's a really good idea to call it a day, have a break, and then eyeball your work the next day with fresh eyes. You'll more often than not pick up on something that was glaringly obvious that you hadn't noticed previously, or something that needs a tweak. If you're finding something tricky and you've spent a bit of time on it don't try and power through, take a break, rinse your mind, then come back fresh (and bring your eyeballs with you!). Right that's the lot, these have been pretty fun to write so we may do some more in the future (in fact I've thought of a few more already whilst writing this post). Enjoy your Friday and we hope you all have the most excellent of weekends!